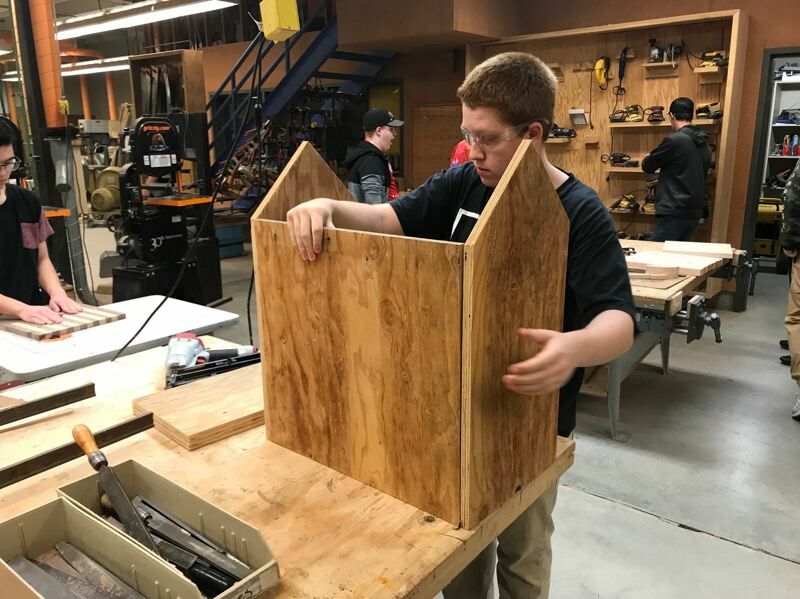 A brand new "Little Free Library" has popped up in St. Helens at Grey Cliffs Waterfront Park, all thanks to a partnership between the high school and the city's arts commission. 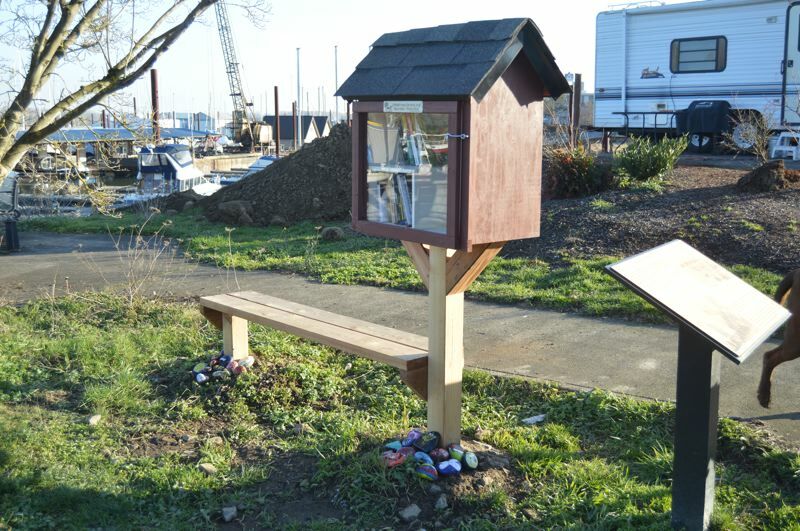 On Saturday, Feb. 2, the St. Helens Arts and Cultural Commission held a dedication ceremony for the installation at the park of a new free-use library, which encourages people to take a book and share a book. A small crowd attended the ceremony over the weekend, including Justin Waid, the student who helped create the library. Waid was accompanied by his family and ACC members. "One of the goals behind this project was to bring all of the community together no matter what age they were and I think that was well reflected in the ceremony," Kim O'Hanlon, ACC vice chair said following the event. O'Hanlon embarked on facilitating the project just over a year ago after her husband came up with the idea and suggested creating the libraries with the help of local high school students. The libraries could then be installed at various community parks. As a member of the ACC, O'Hanlon took on the idea as her first major community project. She reached out to St. Helens High School woodshop instructor, Joe Mauck, to recruit students to help. The students would design and create the libraries, while O'Hanlon and the ACC would take on the logistical part of the project to have them installed, including going to the parks commission to get approval to install the libraries in city parks. up with one he wanted to create. "He was really excited. He said the process was really fun and he enjoyed it and was looking forward to seeing more libraries," O'Hanlon said. His design also includes a small bench attached to it, which O'Hanlon said matches the Little Free Library program's logo. The goal is to have two more libraries built and set up in city parks. "It's our hope that this Little Free Library will bring people together through reading," O'Hanlon remarked in a press release from the city. "It has been a pleasure working with the High School Woodshop Class, and we are excited to install more libraries in the future." The Little Free Library program is a nonprofit group that promotes literacy through access to free books in areas that may have limited resources. The new library in Grey Cliffs Waterfront Park is the first in St. Helens. Two other libraries exist in Columbia County — one in Scappoose on Southeast Davona Drive, and one in Columbia City on 6th Street.